Gillian Flynn has another Amazing Amy on her side. Amy Adams stars in Sharp Objects, the adaptation of Flynn’s novel. Adams plays Camille, a reporter investigating a murder in her home town that hits even closer to home with her own personal trauma. Amy Adams was on a 2018 Television Critics Association panel to discuss Sharp Objects. Perhaps the most striking aspect of Camille is the scars we see when she is in scenes by herself. Adams revealed how the scar makeup is applied. Adams has played a wealth of characters in different scenarios, from a linguistic professor learning to speak to aliens, the painter Margaret Keane, a con artist in the ‘70s, a cult leader’s wife, a Disney princess, and a doubtful nun to name a few. Camille’s reporting was winkingly called into question by reporters. Adams concurred that she’s a flawed heroine. 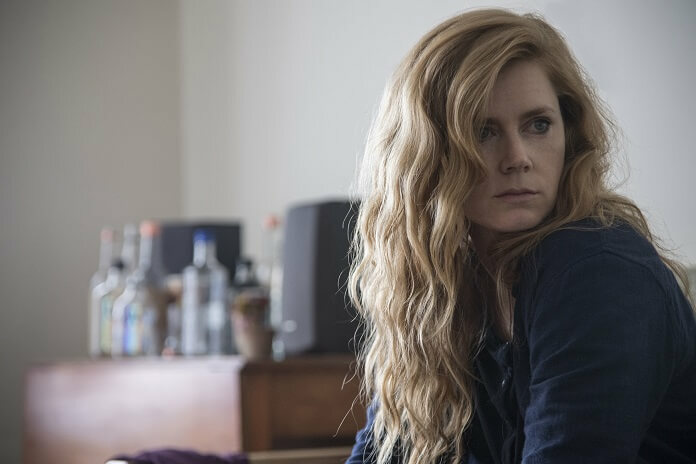 In the three episodes that have aired, viewers have related closely to Sharp Objects’ portrayal of post traumatic stress and living with trauma. Working on those scenes has been harrowing, but Adams and her costars like Patricia Clarkson and Eliza Scanlen, along with the filmmakers get through them together. Sharp Objects airs Sunday nights on HBO.